3. Raise the height of your armchair, sofa and daybed, which makes you more comfortable when sitting or arise from the chair. 5. The furniture legs update your old furniture by replacing the worn-out legs, or raise the change the height of furniture to meet your needs. 6. 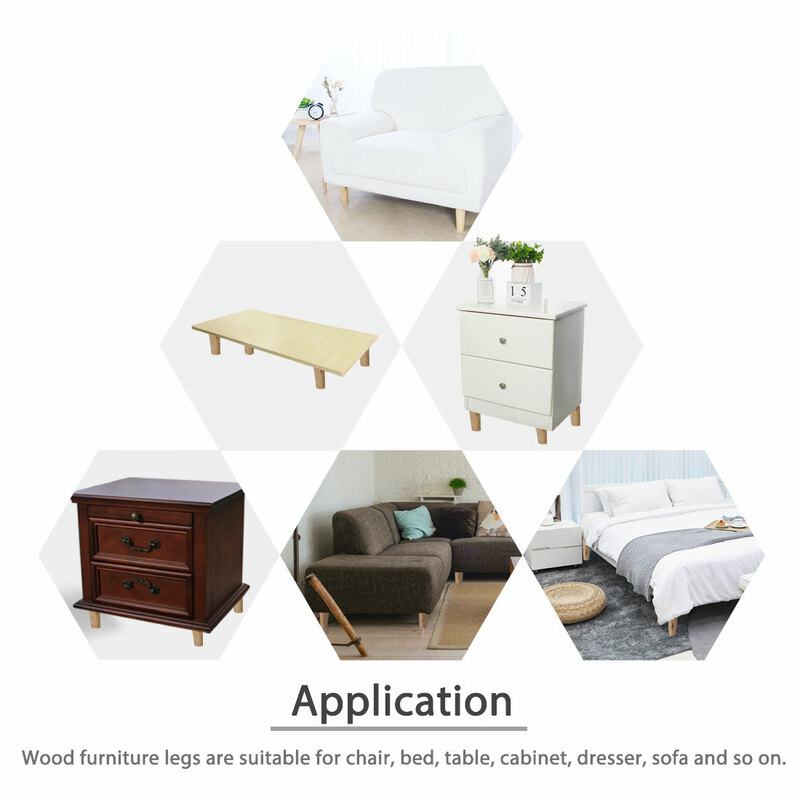 Perfect replace your old furniture leg, sturdy and stable, do not shake after use our furniture leg. 7. Stylish appearance is great for additional decoration in your home. Make your home have the sense of design and fashion. Suitable for sofa, cabinet, bed, closet, worktop, wardrobe, desk, table, dresser TV stand or other furniture. Mounting Hole Center Distance: 5.5cm/2.2"
1. Variability of 1-3cm is possible due to the measurement process.